Description: A large and lovely circle with vines looping around it and a flower in the middle. 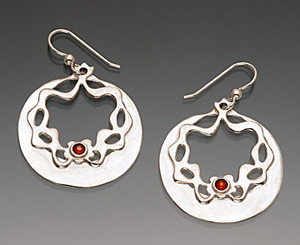 Made of sterling silver it is shown here with a garnet flower, but comes also in turquoise. 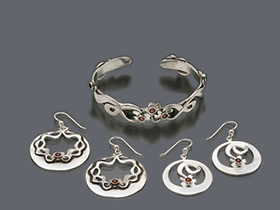 Matching bracelet shown in picture makes a beautiful set. 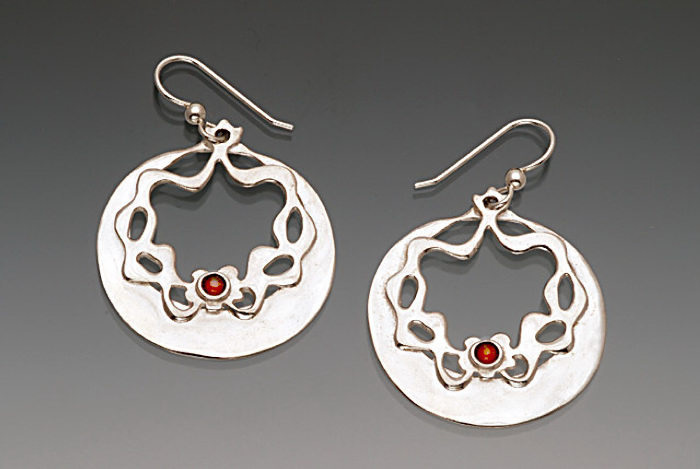 These earrings come mounted on a card with a ''reflection'' printed on the back that reflects the spirit of the design: "Winding Road - The path you choose to follow in life reflects the qualities in your heart."